Jockeys’ silks and colours in horseracing can be traced back as far as 500 years and are thought to be rooted in the traditions of wearing uniform to show who you were fighting for in battle. Certainly, the use of silks and colours in horseracing to identify an owner was prevalent in the 18th century and has remained an important tradition in the sport right through to the modern day. The tradition first began in England and has made British horseracing renowned for its vivid and colourful aesthetics. What do different racing colours mean? Unique racing silks and colours are used to represent a horse’s owner and to allow race commentators and spectators to easily differentiate between racehorses. Most often selected and designed by the horse’s owner, silks can be made up of a wide variety of colours and can also incorporate various shapes into their design, with patterns involving circles, stars, squares and triangles proving popular over the years. How are racing colours chosen? No two jockeys may wear silks of the same design and colour, so if an owner has more than one horse in a race, one will have to wear a different coloured cap. Once an owner has settled on a design, they will have them registered and created. The specific design and colours of their silks may not be used by anybody else after they have been registered. 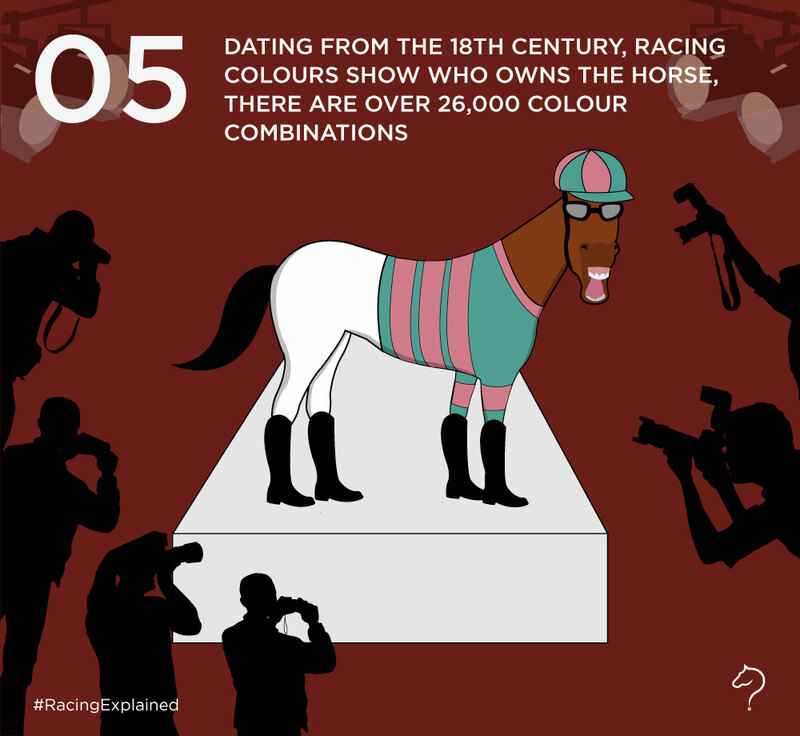 Are there any particularly famous racing colours? Amongst the most recognisable silks and colours are those of Her Majesty the Queen, which combine purple, scarlet and gold braiding. Horses owned by JP McManus are also instantly recognisable to racegoers and spectators at home thanks to their bold combination of green with gold hoops. The Ricci family, meanwhile, have their jockeys wear baby pink silks with bright green spots, while the silks worn by jockeys riding the Thoroughbreds of Prince Khalid Abdullah are equally famous with their green and white combination embellished with a pink sash.